I posted some SNES games for sale on ebay. Something I've been meaning to get back into. This weekend has been a mix of work and play. I did some research on various methods of selling online which is something I'm planning to get more serious about. I also did some side jobs to make a little extra money. In between I played a lot of Dead Rising for the 360. Dead Rising is surprisingly good but frustratingly difficult at times. I'm only on the second day with one of my friends, but we've started over once already to boost our level a bit. I beat the first and second "boss" fights. I've watched a couple of survivors die in horribly gruesome ways. I almost made it back to the security room with the two Japanese tourists but I ran out of time to start the second set of story case files so I gave up and did it again without saving them. There are a lot of things you can try doing, but it seems like you miss opportunities or fail at missions more than you succeed. That may be part of the game, just fouling things up once so you can go back and do it right the next time. I also tested out an old NES system I recently bought from a friend. It took a lot of cleaning and testing and cleaning again, but it finally worked and played games just fine. I got to round 18 on Duck Hunt before I finally screwed up and got game over. I played some Quake 4 this weekend. A friend rented it and I wasn't expecting it to be that good in particular, which it isn't, but it's not bad and it's still a lot of fun. We've gotten to level 17 which appears to be half-way through the game. Other things that have happened this weekend. I bought some paper to do some drawing again which I haven't done in a long time. I also got some more blocks of WtoPC to work on. Completed progress so far is 28%. Still a lot to go but I'm really happy with the progress so far. 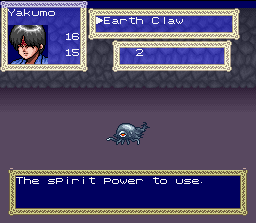 Also I've been getting some updates on 3x3 Eyes: Advent of the Divine Demon Legend. It seems that there is still some work to do on the menus so that item quantities use a fixed width, rather than the variable width font, though the items list is working with a fixed width and now no longer causes an error when you close the item menu and then speak to a character. 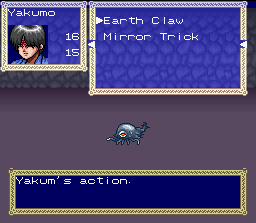 Also I forgot to mention but a game I translated has been released recently. KingMike whom I am working with on 3x3 Eyes, recently released a translation patch for The Great Maze: Master of the Maze, an unreleased first-person maze puzzle game for the NES. Follow the link to go to RHDNs entry or this link to KingMike's personal page for the patch file.